As membership professionals you don’t have the time or money for costly and time-consuming failed experiments, or multiple attempts at problem solving. You have to get to the root of a problem swiftly. Learning as you go! What better then, than an opportunity to learn with the masters. Yes, the experts, but also the everyday practitioners. The ones that have been there, seen that, and got the tee-shirt. People just like you. Established in 1990, Core is a leading IT solutions provider to the public and private sector. As a trusted Microsoft Gold Partner, they offer innovative technical solutions tailored to business objectives, and specialise in implementing the latest systems: both on premise and in the cloud. As one of their clients, Lawrence Withy, CRM Project & IT Services Manager of the Association of British Insurers will present a case study on successful adoption of CRM. Crumpled Dog is an award winning, creative agency and Umbraco Gold Partner based in Shoreditch, London. Creativity, strategy, technical ability, and building relationships are at its heart. dotmailer is a marketing automation platform with email at its core. Since 1999, they’ve been empowering global marketers with the tools and services that make it easy to get outstanding results. They will share a case study. Felinesoft, in association with The British Association of Counselling and Psychotherapy (BACP), will be presenting a case study into managing digital transformation through cultural change, to implement an integrated Dynamics CRM and Umbraco CMS solution. David Watson, CRM and ICT Manager at Solent Mind, will explore and share experiences from their journey to a connected workforce, by centralising their data from many disparate systems into a single source. David will discuss the challenges they experienced through the project, the benefits of the solution to the charity and to their partners and the next steps as they continue to extend Dynamics 365. Debbie Dore, Chief Commercial Officer, the Association for Project Management, shares their case study in deploying ProTech’s integrated web and CRM solution to: improve engagement with members and customers; deliver relevant information based on preferences; membership applications and event bookings; streamline back office processes; and improve reporting capability. seAp have been providing independent advocacy services for the past twenty years. Helping resolve issues or concerns citizens may have about their health and wellbeing, or their health and social care services. For many, digital transformation has become a journey and by embracing this new era, seAp have experienced the highs and lows that come with adopting a more technological approach to the services they offer. Marie Casey, CEO of seAp Advocacy shares her experience in association with Pythagoras. Jonny Elliot of Youth Business International will present a case study on how YBI utilises technology to support over 40 organisations in 40 countries and how they measure the network impact. Open source solutions are emerging that make personalisation tech more accessible to the not-for profit sector. 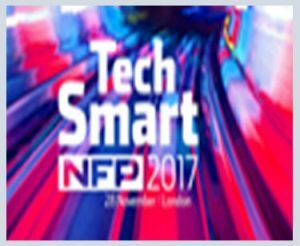 In their Techsmart session Paul Vetch, Client Services Director, Torchbox, will look at the solution which provides the ability to create a detailed rules-based segmentation of audiences, and then deliver customised content not only to the web but across multiple platforms. And the best thing is, the underlying technology is 100% open source! From 1923 to 2023 – How Removing Digital Boundaries Reinvented our Membership. Geoff Balmont, CIO, Boundless, and Alan Perestrello, Trillium Co-Founder and Director, presents Boundless – the Civil Service Motoring Association. A case study covering a digital transformation journey covering CRM and Websites to ensure the organisation remains relevant for the next generation of members.